If you’re a fan of gross stuff, you’ve probably heard the name Dr. Pimple Popper. Legally known as dermatologist Sandra Lee, she’s built a fan following by posting many of her procedures on YouTube. Personally, I just can’t handle this stuff – the sight of pus makes me pass out. But lots of people are into it, and if you’re one of them the good doctor has a ball-related video just for you. What did you think? Would you let Dr. Lee go to town on your nuts like that? And if you did, would you let her post it to YouTube? 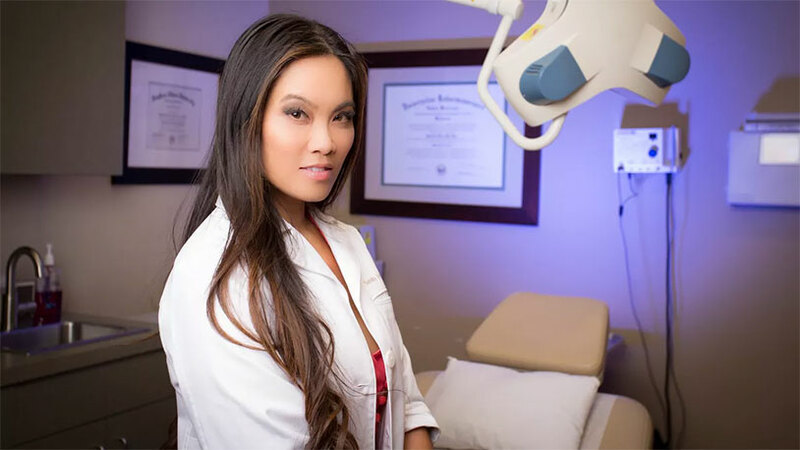 An even bigger audience is soon to be exposed to Dr. Pimple Popper’s ministrations, as she has a TV show in development with TLC. Read more if you dare at Refinery29.